The Second Day of our #nxnw adventure this yea found us starting with a short early morning photowalk in Seattle, then the drice across the state to the Palouse region closer to the eastern state line. We were a fair bit south to be “five miles south of the Canadian border, twelve miles west of the state line,” but our drive acroiss the state did take us through Twin Peaks in a different fashion, as we stopped to visit Sqonalmie Falls. 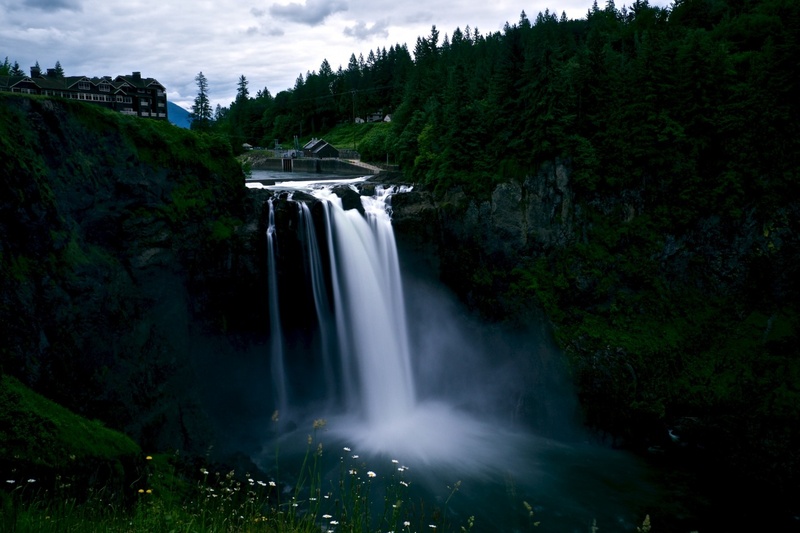 The falls and the lodge you see behind them were usad as the exterior establishing shot for the Great Northern Lodge in the Twin Peaks series. Later in the day we stopped at the Palouse Falls, while most of the remainder of the day was spent in the cars. But this was a highlight for me, as I was a big fan of the series during its initial run. The first season was quite special. Very nice Mark, another great trip in the books, now on to the images!